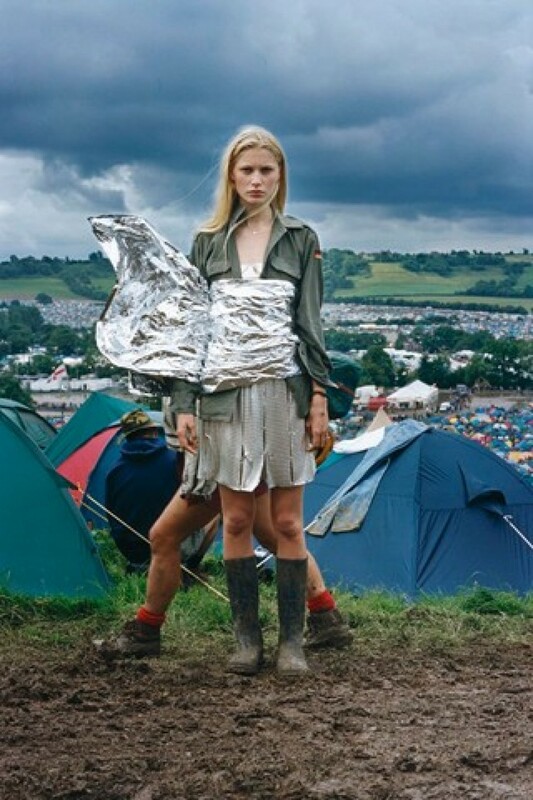 Festival season is in full swing. Every weekend you can choose from at least three festivals to go to. Personally I prefer the more unknown or new festivals since I rather avoid the crowd. Nevertheless there are a few exceptions to this rule. Like Glastonbury, I never went but it's definitely on top of my (bucket) list. I mean, if it's good enough for Kate (Moss), it's good enough for me. Also I feel artists who play there give everything they have. For example you might not like Beyonce, well just look at her Glastonbury act from a few years ago and you'll reconsider. I really regret it didn't go this year since Dolly Parton performed. I don't have to explain right? Anyway, it's not only the music which inspires, it's the careless vibe, the clothes, the mud and to be in a different world for a few days. 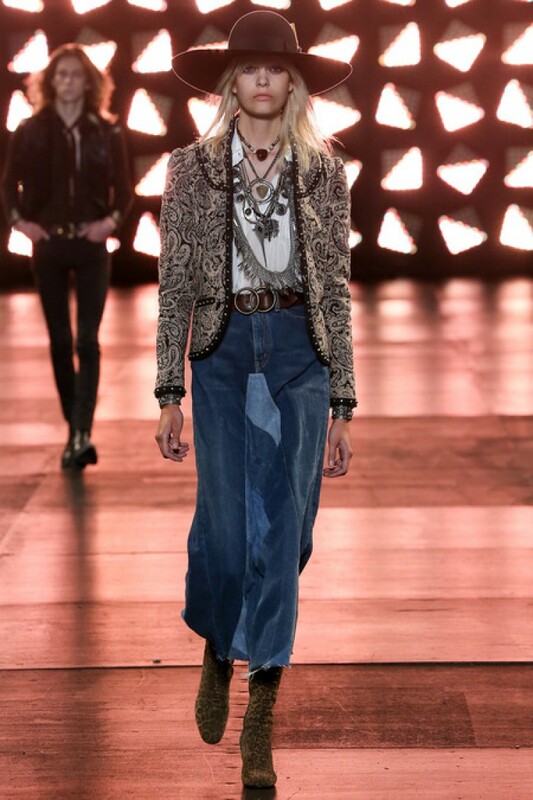 Reason enough for designers like Hedi Slimane to create some desirable clothes. 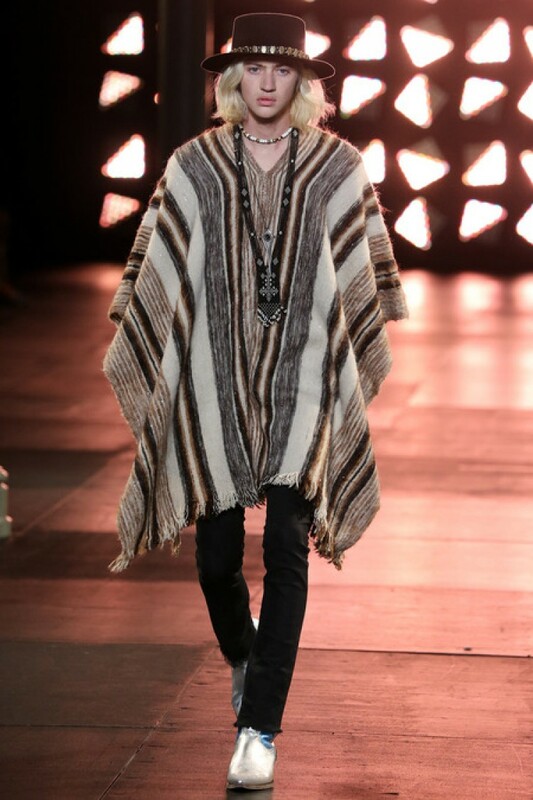 His mens SS15 collection was all about rock 'n roll and very much festival proof.